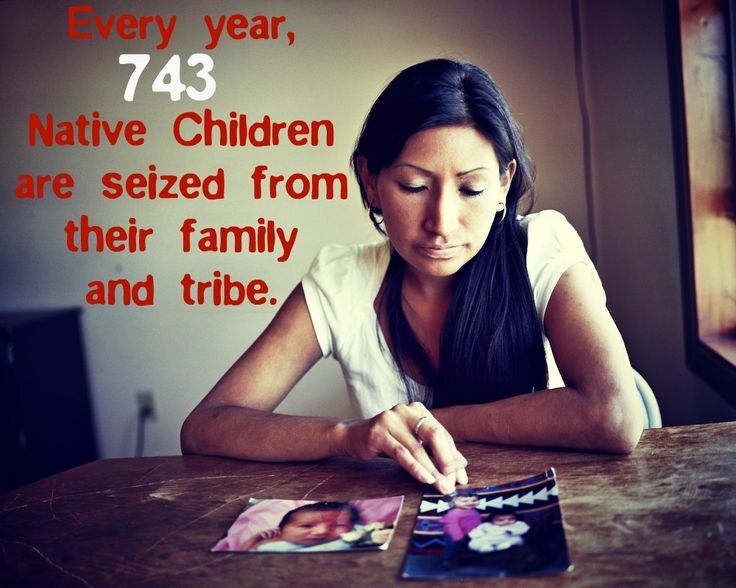 Congress passed the Indian Child Welfare Act (ICWA) to put an end to these destructive practices. ICWA ensures that tribes have notice and an opportunity to act before a state tries to remove children from their home and place. 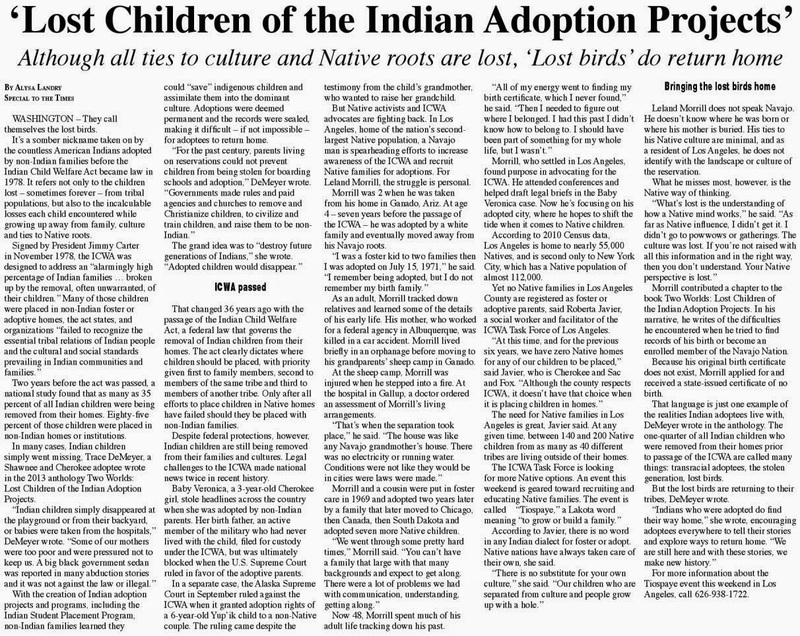 It also provides preferred placements for Native children in need of a safe and loving home—recognizing the immense harm done by removing children not only from their families, but from their cultures. The Indian Child Welfare Act is under attack and we need your help. 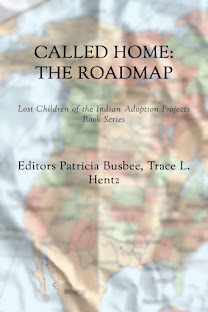 In the mid-1970s, a congressional investigation revealed that state agencies and courts were disproportionately removing American Indian and Alaska Native children from their families and placing them in non-Native foster or adoptive homes or residential institutions, never to see their families or communities again. In many cases, state officials removed children because they were unable or unwilling to understand tribal cultures and societies. 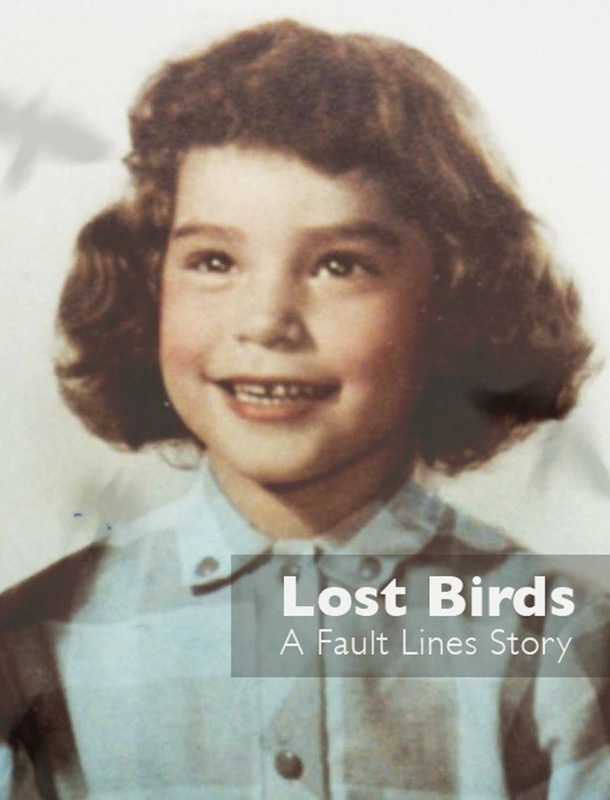 The removals and placements were devastating to the children, their families, and tribes. Broken families, loss of culture, and forced assimilation led to identity problems, incarceration, addictions, and suicide. Although a handful of jurisdictions have remained resistant to its provisions and goals, ICWA has been largely successful in increasing tribal participation in children’s cases and ensuring the rights of Indian children are protected. In particular, the last decade has seen many states passing their own ICWAs, and tribal nations are more actively asserting their rights in ICWA proceedings. Continuing this trend, the Bureau of Indian Affairs recently published updated Guidelines for ICWA to clarify what the law requires and ensure that every state provides Native children with all the protections required by ICWA. In February 2015, the BIA announced it intended to take these reforms even further by proposing, for the first time ever, binding federal regulations governing ICWA’s implementation. This success, however, is now being challenged by large, well-financed opponents who are actively and aggressively seeking to undermine ICWA’s protections for Native children as well as have ICWA itself declared unconstitutional. Capitalizing on the outcome in Adoptive Couple v. Baby Girl, ICWA’s opponents are now filing lawsuits across the Nation challenging many of ICWA’s foundational protections, including the membership status of Indian children, the obligation to notify the child’s Tribe of an ICWA case, the right of a tribe to intervene in an ICWA case, and the application of ICWA’s foster care and adoptive placement preferences. 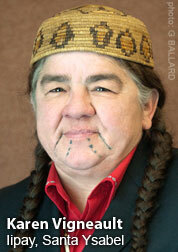 These lawsuits represent the greatest threat to ICWA yet. Not since its enactment has ICWA come under such a direct, coordinated attack by those committed to ending the protections it guarantees every Native child. These attacks against ICWA will not go unanswered. NARF, together with coalition partners such as the National Indian Child Welfare Association and the National Congress of American Indians, is already mobilizing to defend ICWA so that it can continue to work for Native children and families. Stand up for the rights of Native children – and all children – and JOIN US. On Monday, August 11, 2015, NARF Staff Attorney Matthew Newman was a guest on the Native America Calling radio show. He, and other panelists, discussed the Indian Child Welfare Act and its future. Listen to their discussion from the Native America Calling website.